Open data have considerable potential to provide citizens, researchers, companies and other stakeholders with many advantages, such as a growing economy by stimulating innovation and increased transparency. Nevertheless, the process in which data are created, published, found, analysed, processed and discussed, which is here referred to as the open data process, consists of many complexities and complex relationships among social and technical aspects. Often the complexity, dynamics and heterogeneity of the open data process are neglected, and extensive overviews of barriers for the open data process are lacking. Hence, in this chapter, the questions asked are (1) which socio-technical barriers exist in the open data process and (2) which development directions could be derived from this overview of barriers. Our overview shows that many barriers can be identified with regard to data creation, publication, finding, analysing, processing, discussion and providing feedback. Activities early in the open data process could result in or increase barriers later in the process. Furthermore, the analysis of barriers for the open data process showed the importance of combining a social and technical view to overcome the barriers. A number of development directions for open data are identified. The findings suggest that, to be able to realize the benefits of open data, both social and technical barriers should be considered and an integrated approach to successfully counteract these barriers should be taken. In this integral approach, the social and technical barriers should be dealt with simultaneously rather than separately to successfully realize the benefits of open data. This chapter is related to the ENGAGE FP7 Infrastructure Project. More information can be found at www.engage-project.eu and www.engagedata.eu. The authors would like to thank their colleagues of the ENGAGE project for their input for this chapter although the views expressed are the views of the authors and not necessarily of the project. Berners-Lee, T. (2009). Linked data. Accessed Oct 11 2012, from http://www.w3.org/DesignIssues/LinkedData.html. Braunschweig, K., Eberius, J., Thiele, M., & Lehner, W. (2012). The state of open data. Limits of current open data platforms. Paper presented at the International World Wide Web Conference, Lyon, France. http://www2012.wwwconference.org/proceedings/nocompanion/wwwwebsci2012_braunschweig.pdf. European Commission. (2003). Directive 2003/98/EC of the European Parliament and of the council of 17 November 2003 on the re-use of public sector information. Accessed Dec 12 2012, from http://ec.europa.eu/information_society/policy/psi/rules/eu/index_en.htm. Foulonneau, M., & Cole, T. W. (2005). Strategies for reprocessing aggregated metadata. Accessed Dec 12 2012, from http://imlsdcc.grainger.uiuc.edu/docs/metadatareprocessing.pdf. Jetzek, T., Avital, M., & Bjørn-Andersen, N. (2012). 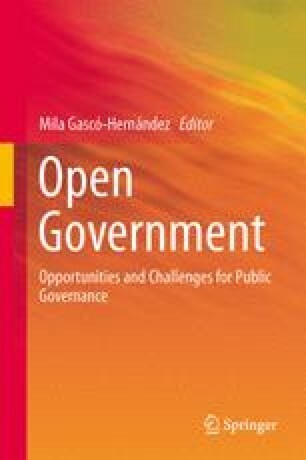 The value of open government data: A strategic analysis framework. 2012 Pre-ICIS Workshop. Paper presented at the International Conference on Information Systems (ICIS 2012), Orlando, Florida, United States. http://openarchive.cbs.dk/bitstream/handle/10398/8621/Jetzek.pdf?sequence=1. Lord, P., Macdonald, A., Lyon, L., & Giaretta, D. (2004). From data deluge to data curation. Accessed Dec 14 2012, from http://www.ukoln.ac.uk/ukoln/staff/e.j.lyon/150.pdf. Taylor, C. (2003). An introduction to metadata. Accessed Dec 8 2011, from http://www.library.uq.edu.au/papers/ctmeta4.html. United Nations Statistical Commission and Economic Commission for Europe. (2000). Guidelines for statistical metadata on the internet. Accessed Dec 8 2011, from http://www.unece.org/fileadmin/DAM/stats/publications/metadata.pdf. World Wide Web Consortium. (2006). W3C Architecture Domain. Naming and Addressing: URIs, URLs. Accessed Jan 11 2013, from http://www.w3.org/Addressing/. Yaeli, A., Ship, H., Alexopoulos, C., Pterneas, V., & Gaberlo, N. (2012). Deliverable D7.7.3. Data and knowledge annotation and linking methods. Accessed Jan 3 2014, from http://www.engage-project.eu/wp/?p=1228.